Modply was started with a simple vision: To offer unique, eco-friendly wooden wristwatches. Modply is a family-owned business based in Grand Rapids, Michigan, where traditional blue collar working values meet the new generation of breathtaking artwork and artisan beer. We don’t just make watches, we make the watch-buying experience positive and memorable. We want to be your go-to source for beautifully-crafted, quality timepieces that are sure to impress. At Modply, it’s not just about what you purchase. While we sell wooden watches, we also care deeply about our customers and we want you to have a fantastic experience with us. That’s why our customer service team is the best in the industry. We’re here to answer your questions quickly and accurately, providing everything you need to know about each of our products. We’re not just in the business of building great watches, we are a family business that builds lasting relationships with our customers too! Just ask our customers. Over 2000 five star reviews can’t be wrong! Check here to see what some of our customers have to say about their favorite Modply watches. 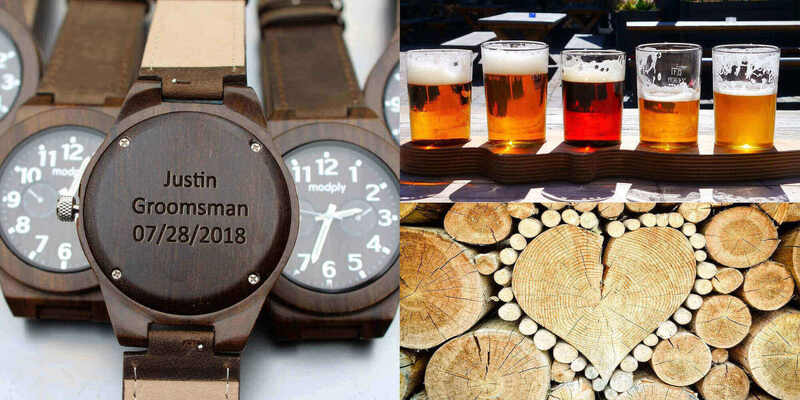 All Modply watches can be offered as a personalized wooden watch. Our watches also make great gifts for special occasions, such as weddings, holidays, birthdays, graduations, anniversaries, and more. Whether you’re buying a bulk order to give as groomsmen presents or watches for the whole family, show your friends and loved ones how much you care with a personal message engraved on a unique, thoughtful gift. Each watch features a durable wristband crafted in wood or leather, premium Japanese movement, scratch-resistant face, and sturdy hardware. We focus on craftsmanship, ensuring your watch is a high-quality, lasting, and functional work of art. If for some reason you aren’t satisfied with the watch you receive, please contact us at sales@modply.com and we will quickly assist you.